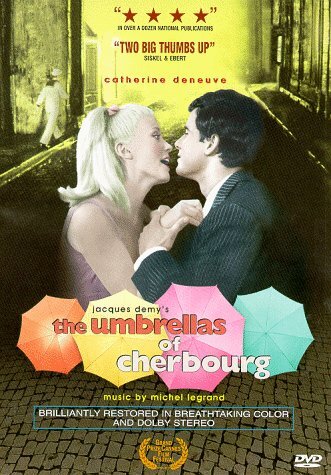 Genevi�ve, 17, lives with her widow mother, who owns an umbrella shop in Cherbourg. 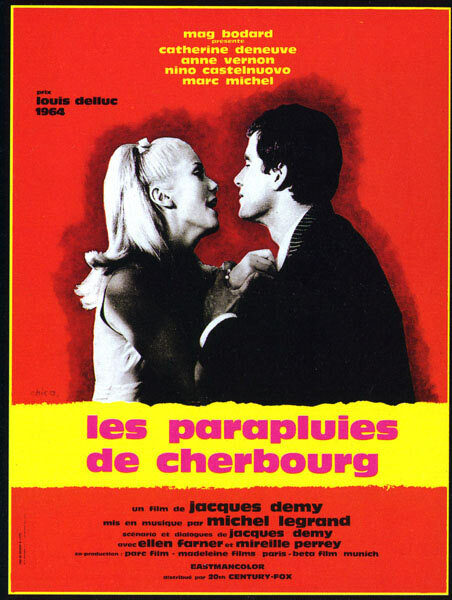 She and Guy, an auto mechanic, are in love and want to marry.But her mother does not agree : she thinks Genevi�ve is too young and Guy is not wealthy enough. Guy leaves two years for the army, and Genevi�ve is pregnant. 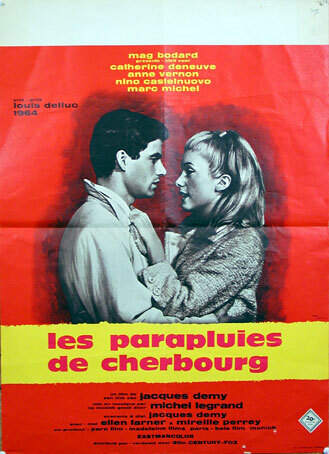 She still loves Guy, although she has little news from him, but because the baby needs a father she marries Roland Cassard, a rich gem dealer, who fell in love with her at first sight and promised to bring up the child as his own... A movie whose dialogue is entirely sung. 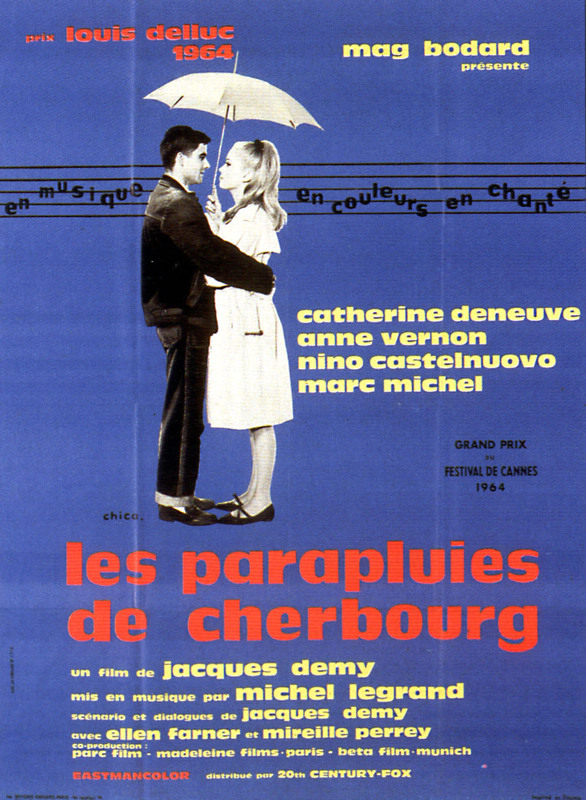 a treat It's films like The Umbrellas of Cherbourg that are examples of how beautiful cinema can be. The love story here is one for the romantics - I still find it moving even after numerous viewings. The direction is stunning, it's wonderfully filmed, colorful, and very dynamic. It's a film that can help you escape from the misery of the world and absorb yourself in. Sung from the beginning to the end, it may not have the best vocal talent in the world on display, but being such an ambitious project, it's easy to get swept in. 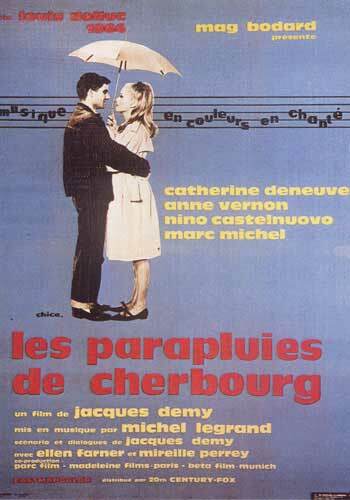 Whatever your views are on French cinema, or musicals, The Umbrellas of Cherbourg is capable of dismissing them with its romance and color.